Worm farming is a great way to naturally compost waste and other discarded materials. As a result, nutrient rich soil is produced and can be used in flower beds, crops, and gardens. Regardless of all the reading and research one does, issues may arise and can cause some concern. 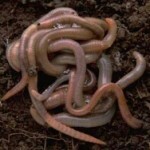 Here are a few of the commonly reported questions and issues with worm farms. It is often thought by many that a smelly worm farm is normal. In fact, it is not. If worms are kept in an appropriate environment, they will not smell. If the farm has an odor, the most likely cause is overfeeding. Material to be composted is placed on the top layer of soil for the worms to consume. 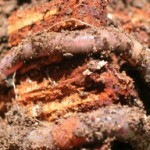 If too much is given to the worms, it can begin to rot causing a build up of bacteria within the walls of the worm farm. This is the cause of the smell. To remedy the situation, simply discontinue feeding of the worms until any uneaten material is gone. The soil should also be stirred for aeration and to allow the worms to move more freely. 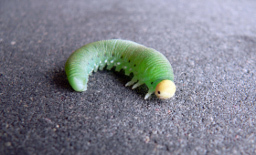 Using a container with a tight lid can help prevent many pests from infesting the worm farm but some are sneaky enough to make it in regardless. Small vinegar flies are often a complaint among worm farmers. This type of fly is of no harm to the worm farm but typically is a result of overfeeding. Large flies appear when there is an abundance of food. Ants are also a common issue. 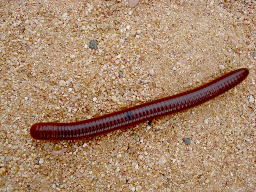 If ants are seen in the worm farm, the chances are pretty good that the soil is too dry. Adding water to the soil to increase the moisture can help eliminate ants. If using a worm farm that stands on legs, simply apply some petroleum jelly to the legs to prevent the ants from being able to climb up. 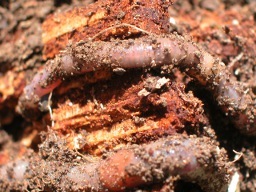 Maggots can be found in worm farms where meat is offered to the worms. The best scenario is to eliminate meat from the diet altogether. If maggots have made their way into the worm farm, they can be eliminated by placing a milk soaked piece of bread into the farm; the maggots will be drawn to it and can simply be removed. 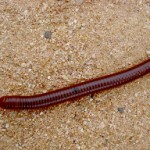 If a worm is leaving, he is unhappy with his environment and is in search of a more suitable one. Worms will escape for reasons such as the soil being too dry or there isn’t enough food. 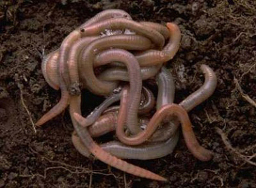 On the other hand, soil that is too wet could also be affecting the worms, causing them to want to leave. The source of the problem should either be eliminated or fixed. If the soil is too dry, fresh water should be added to the farm. If it is too wet, the excess should be drained and new bedding should replace the old. Locate the cause of the excess moisture and eliminate it. Ensure that the worms are getting enough food and the farm is in a location where the temperature will remain constant. There may be some confusion on what to feed worms. Appropriate foods to feed include fruits, vegetables, egg shells, greens, tea bags and coffee grounds and filters. Non-food items can also be fed to the worms and include soaked cardboard, paper products, cotton rags, leaves, dirt and hair. More important are the items that should not be fed. Dairy products, meat, citrus, onions and garden waste that has been treated with chemicals are all things to avoid in a worm farm. These are just a few of the common topics when it comes to worm farming. 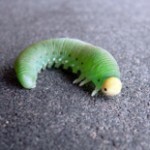 Although they are pretty easy to care for, it is important to realize the reason for some of the changes or issues noticed within the worm farm. Problems should be corrected early to prevent the loss of the worms. Providing a proper environment, correct food, appropriate moisture level and temperature will help ensure a supply of happy and healthy worms.